Carrie Quinn has been writing since 2010, and she has been teaching or researching health and fitness concepts since 2000. Quinn holds a Master of Science in exercise physiology and national certification as a registered clinical exercise physiologist through the American College of Sports Medicine. She graduated from the University of Kansas. The cardiovascular and respiratory systems are linked in such a way that one cannot function without the other. These two systems work together to allow metabolism to occur in all systems throughout the body by delivering oxygen and removing wastes. Oxygen consumption, abbreviated VO2, is a measure of the volume of oxygen used by the body. VO2, as described by Dr. Benjamin Levine, is based on the Fick equation, which says oxygen consumption is dependent on the product of oxygen delivery and extraction. Oxygen extraction considers the amount of oxygen in arterial blood that is sent to metabolically active tissue, and the amount of oxygen in venous blood being returned to the heart. The difference in arterial oxygen content and venous oxygen content determines the amount of oxygen that was used by the tissue. Oxygen delivery, on the other hand, is a measure of cardiac function, specifically of cardiac output. Cardiac output determines the amount of blood pumped from the heart every beat. Cardiac output is the product of heart rate and stroke volume, or the amount of blood pumped per beat. According to Levine, oxygen consumption is limited to a greater extent by oxygen delivery rather than oxygen extraction. This places great emphasis on the interplay between VO2 and heart rate and stresses the importance of the interaction between the cardiovascular and respiratory systems. "Physiology of Sport and Exercise" says everyone has the same oxygen consumption at rest per given body weight. However, as an individual moves from a resting state to one of exercise, the body demands more oxygen for metabolic processes to keep up with the energy demands. Naturally, as the body moves from rest to exercise, the heart rate begins to steadily increase. This cardiovascular response allows for faster oxygen delivery to the working tissue, such as skeletal muscle, which allows for an increase in oxygen consumption. Diseases of the cardiovascular system tend to cause a decrease in oxygen consumption that limits an individual's ability to engage in physical activity. The nature of heart failure, for example, prevents the heart from adequately increasing heart rate. Without the increase in heart rate, oxygen delivery, and therefore oxygen consumption, is limited. The originator of the Weber Heart Failure Classification system, Dr. Karl Weber, has demonstrated that in severe heart failure, oxygen extraction is enhanced to compensate for the decrease in oxygen delivery. This research underlines the important relationship between oxygen consumption and the factors of oxygen delivery. While exercise generally increases oxygen delivery, it is possible for the cardiovascular system to out-perform the respiratory system. 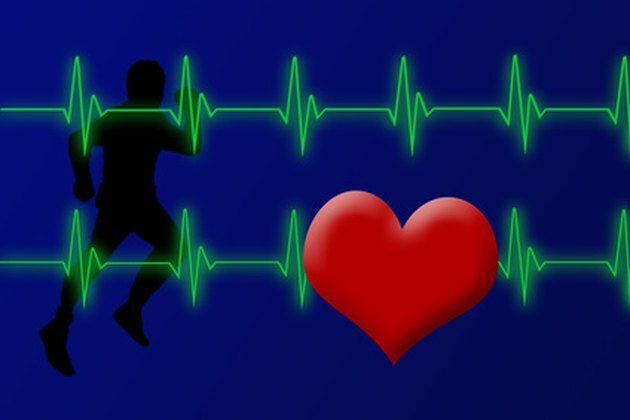 Research published by Dr. Scott Powers in "Sports Medicine" examines the effects of increasing the heart rate too much. When blood travels through the lungs at a very rapid pace, there is little time for oxygen to leave the lung and enter the blood. This means the blood carries less oxygen than normal, a condition called hypoxemia, and therefore delivers less oxygen than the body is demanding. Hypoxemic conditions generally lead to fainting due to a lack of oxygen to the brain and other vital organs. This illustrates the delicate balance that must be kept between the cardiovascular and respiratory systems for oxygen consumption to be maximized. While heart rate plays an integral role in oxygen consumption, stroke volume, the second factor of oxygen delivery, has been shown to have a much greater effect on VO2. Several variables can enhance the amount of blood an individual pumps per beat, whereas changes in exercising heart rate are minimal. The adaptability of stroke volume makes it a more prominent variable in the determination of maximal oxygen consumption. To determine the limits of oxygen consumption, both variables of oxygen delivery are important.